Open field test | O’HARA & CO.,LTD. Open field box is composed of a frame and floor, which are detachable for easy maintenance. 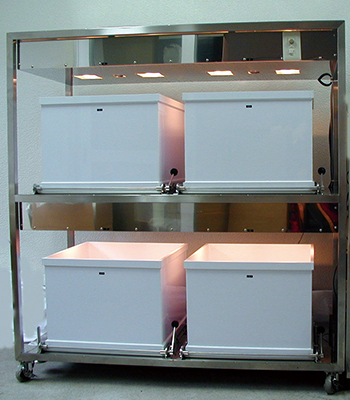 LED lighting with a dimmer control uniformly lights the interior of the open field box. 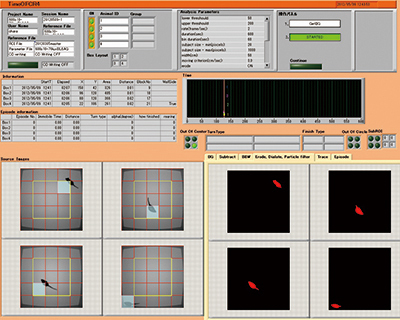 The software can analyze multiple open field boxes at once and also measure circling behavior in addition to general behavioral analysis. With the addition of sensors in the open field box, the software can also measure vertical activity. This entry was posted in Products on 7月 23, 2015 by admin.